Writing for television is not an easy job. Ask Akash Deep and he will agree. 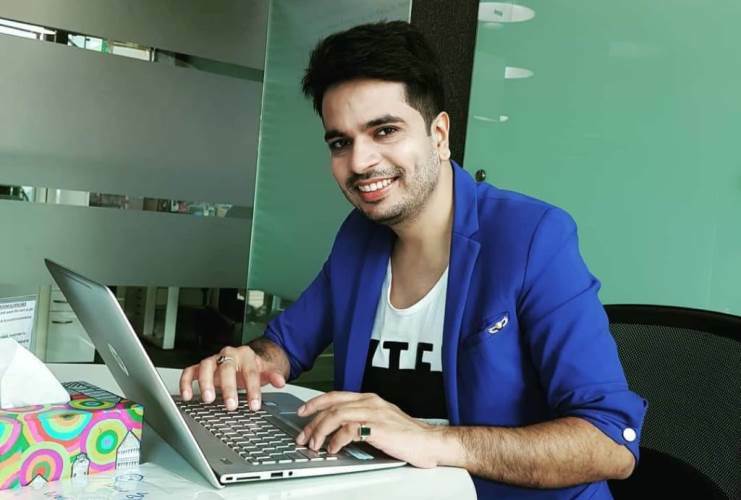 As a writer, Akash Deep has worked on some of the biggest shows on television like ‘Saath Nibhana Saathiya’, ‘Sasural Simar Ka’, ‘Savitri Devi College and Hospital, among others. In this interview, he talks about his journey as a writer, his favourite genres, the difference between writing for films and television and upcoming projects. You have written for some of the biggest TV shows – ‘Sasural Simar Ka’, ‘Saath Nibhana Saathiya’, ‘Swaragini, ‘Jamai Raja’ and many more. Which has been your most favourite show till date? That is a very difficult question to answer. ‘Saath Nibhana Saathiya’ dealt with complex relationships in a family. When I joined ‘Sasural Simar Ka’, it was being transformed into a super-natural show. So, it was a challenge for me to adapt to the new format of the show. ‘Savitri Devi College and Hospital’ was also turned into a super-natural drama when I joined it but I really enjoyed writing the show. Every show that I have written is special for me and it is almost impossible for me to pick a favourite. Do you have any favourite genre? To be honest, I do not like subtlety. It is not that I enjoy watching subtle drama but I do not enjoy writing it as I believe our world is full of high-octane drama and there is nothing subtle about the way we lead our lives. As far as daily soaps are concerned, I love drama. Apart from that, I also like thriller and horror. Is it difficult to produce output on a daily basis for television? It is so difficult that sometimes, it takes a toll on my health. As we are writing every day, we have to keep our thinking caps on and come up with creative ideas all the time. The biggest challenge for a television writer is to adhere to strict deadlines. We have to deliver a large amount of work in a short period of time and that is the toughest part about this job. I always wanted to become a writer. I came to Mumbai and assisted a couple of senior writers. That gave me an insight into the way the industry worked and the kind of skills you need to have to write for television. My first show as an independent writer was ‘Saath Nibhana Saathiya’ which was produced by Rashmi Sharma. Before that, I had co-written ‘Hanuman’ and had assisted on several prominent shows like ‘Bade Achche Lagte Hain’, among others. You had co-written the film ‘Ek Haseena Thi Ek Deewana Tha’. What is the difference between writing for films and TV? The biggest difference is the time you get as a writer to develop the script. We got six months to write the film during which we came up with multiple drafts. You get a lot of time to think, brainstorm and come up with the final product when you are writing a film or even a finite web-series. You do not get as much freedom when you are working in television. In the recent times, the digital platform has grown by leaps and bounds. Would you like to do something on it? I am working on a show for the digital platform. I cannot share much about it right now as the project is in a very nascent stage. I might produce it as well. Right now, my shows ‘Laal Ishq’ and ‘Savitri Devi College and Hospital’ are on air. Apart from the web-series, I am also working on a film script. That, too, is in a very early stage and I would be able to talk more about it after a while.